Another seven day week….with lots of plantation shutters and lots and lots of miles! On Sunday, I went to Provincetown a.k.a. “P Town”. This project was installed last Spring, but there were some construction issues over the summer, so the home needed to be repainted. So, I went to reinstall all of the window treatments including fabric Roman shades, automated solar shades, and even some fabric top treatments. I even brought my wife along to spend some ‘family time’ together. On Monday, I drove 290 miles round trip between my shop in Franklin,MA and Wolfeboro,NH – on the Lake Winnipesaukee region. This was a long day, but well worth the effort. I installed a huge number of custom draperies and fabric Roman shades in what turned out to be an 18 hour day. Tuesday was mild compared to Monday (Thank goodness) -I went out to two sales calls in Dover in the morning to discuss Hunter Douglas roller shades and cellular shades. Then I headed out to a shade repair in Jamaica Plain by noon, and installed 9 Graber composite wood blinds in Ashland in the late afternoon. On Wednesday, I had two sales calls in Mendon to discuss roller shades and potential woven shades too. Then, I went to install a gorgeous Vignette Roman shade by Hunter Douglas in a first floor bathroom in Medway. From there, I went to my own home (imagine that) to replace a wood blind with a cafe style shutter in our upstairs bathroom. And for the latter part of my day, I met a referral client in Southboro to discuss plantation shutters for her family room and dining room. Thursday was a bit unusual: a consultation for drapes over sliding door in Shrewsbury in the morning, a quick stop in Natick by 11am to finalize details on a project involving Hunter Douglas roller shades with remote control in the living room, cordless cellular blackout shades for the kids bedrooms and Vignette Roman shades for the Master Bedroom. From there, I went to install a “quirky” plantation shutter in a bathroom in Lexington. The “quirk” being that the shutter was made taller than the window (intentionally), to create an illusion that the window was taller than it actually was. We used a custom stain to match the cabinets and it looked awesome! Finally, to close out the day, I was invited to present a class on window treatments motorization for my local WCAA chapter – a trade organization. On Friday, there were even more miles. I started in early morning in Holden measuring a basement / office for cellular shades. Then, went to two visits in Paxton for more Hunter Douglas Duette shades. 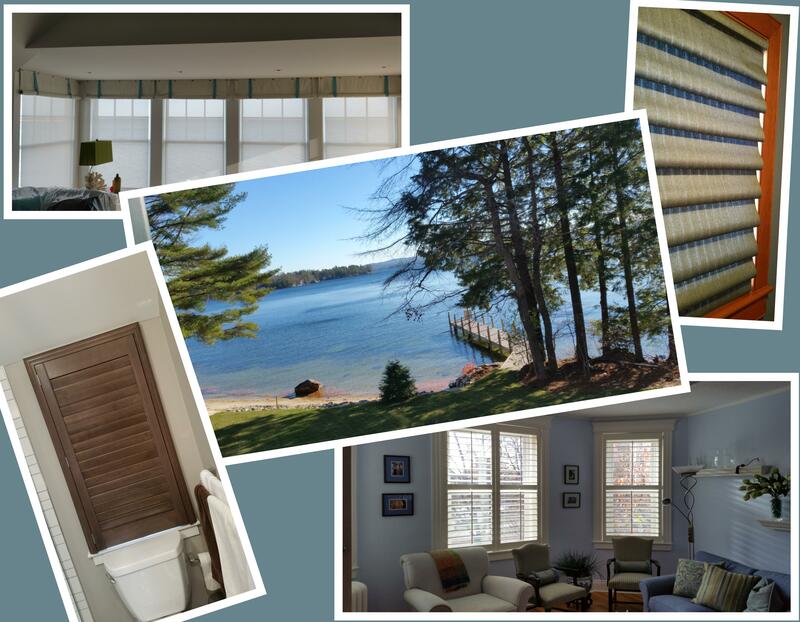 From there, I drove over an hour to Natick, to install a full house of Alta honeycomb shades using cordless lift system. My final appointment of the day was an Art Hanging job. I hung 3 art pieces in my client’s living room, piano room, and bathroom. Finally, Saturday started in the Boston Fenway area installing wood Plantation shutters in my client’s living room and Poly Composite shutters in the shower area (water resistant). From there, I went to Belmont for a consultation on new Motorized Hunter Douglas Silhouettes. The homeowner wanted full control of their shades via iPad and handheld remote. And finally, the day closed with a sale of Hunted Douglas Applause cellular shades and Vignette shades for a very nice couple in Wrentham. All in all, lots of miles, plantation shutters and happy clients. I even got to spend some time with my wife! All in all, I’d say it was a pretty good week! Riding Along – Vol I We are now Nationwide! Well, Sorta!